A loan of $600 helped to harvest corn and to do the agricultural work of autumn. Evdochia is a 53-year-old farmer from Alexeevca village, Ungheni region, Moldova. She is married and has two daughters and a son, who is a student. A daughter is married and has a son. Her husband Fiodor is a priest in the village. Evdochia is employed as a social worker in a local village. An additional occupation of hers is dealing with agriculture. She processes 1.5 hectares of land, where she grows corn and sunflowers. At her small farm she raises pigs, poultry and sheep. Evdochia uses most of the obtained product for family consumption, and she manages to sell cheese and meat. It is good additional income for the family. 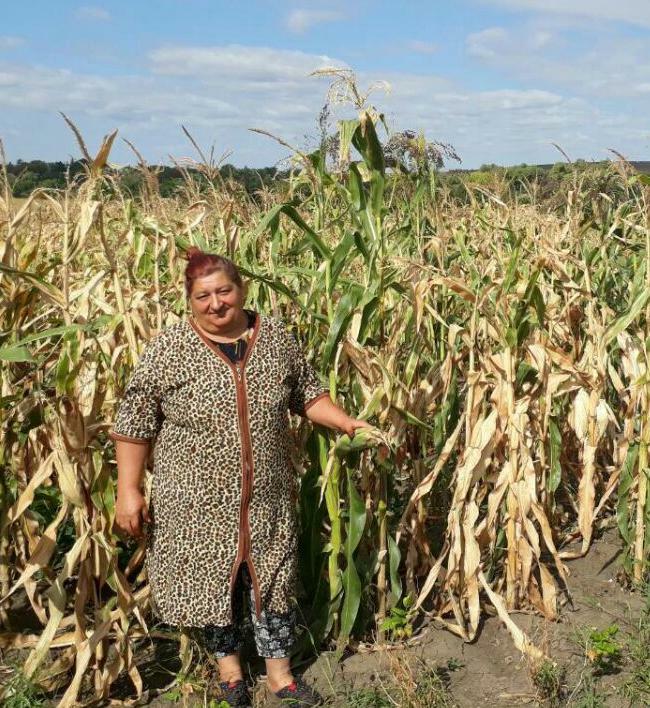 Now it is the season of harvesting, and Evdochia needs a loan from Kiva to harvest corn and sunflower. As a result Evdochia will be able to develop her farm and will have the possibility to pay for her son's studies. It enables those living in rural areas to grow their businesses at a lower interest rate. This loan is provided at a significantly reduced interest rate to entrepreneurs living in rural Moldova. It enables entrepreneurs to affordably invest in and grow their small businesses in an area where there are very few financing and economic opportunities. Typically, people living in rural areas in Moldova migrate to other European countries to find work and send money back to their families. By supporting this loan, you are helping rural entrepreneurs create their own jobs and support the local economy. Smart Credit is a small microfinance organization with headquarters in Ungheni City that serves the rural population in the Ungheni region of Moldova. They seek to provide affordable loans to these populations and also act as an insurance agent for health, auto and accident insurance. Smart Credit offers loans that encompasss a wide variety of industries and purposes including new businesses, consumer goods, agricultural resources and home improvement. Kiva supports Smart Credit's work to reach rural populations in Moldova with affordable credit and insurance options.